I started a new job at an arts organization last month, and so far it’s going really well. This job presented itself at just the right time and although it’s only been 2 weeks, it feels really good to be working for an organization whose mandate I believe in and whole-heartedly support. I am surrounded by talented and creative people and the environment is truly inspirational. I finally feel like what I do is actually in some small way making the world a better place, and it is incredibly motivating. Speaking of motivating, I have other BIG news. Are you sitting down? Despite the new job, as of August I will be taking a sabbatical year with the husband to spend some time travelling in Europe. I know, it doesn’t make sense to take off so soon after starting a new job, but this plan has been in the works for a while, and I’m just lucky to have found a job that is ok with it. I am beyond excited. The flights are booked and I am spending most of my evenings planning logistics with Google Maps and Rome2Rio, not to mention AirBnb* and Skyscanner. Portugal, Spain, France, Italy, Greece and Cyprus, here we come! So that’s two months right there. What will we be doing the rest of the year? I mentioned in my last post that we were heading south for the holidays, and it was beautiful, as you can see. While we were in the Caribbean **drumroll please** we bought a sailboat! Yup! That means we will be spending the rest of the year sailing the crystal clear blue waters of the Caribbean and seeing where the wind takes us for 10 months. And to answer what seems to be the most common question, yes, we know how to sail. So between the new job, trip planning, never-ending renos, and my final Advanced Sommelier class, it’s been a busy year so far! Over the February long weekend we went to the Eastern Townships and stopped in to Le Cep d’Argent, whose owners have brought the traditional sparkling winemaking methods of Champagne to this beautiful area of Quebec. They grow lots of local hybrid grapes here (refresher on hybrids here), including Maréchal Foch, Frontenac, Vidal and and Seyval Blanc. We spent a good hour with winemaker and owner François Scieur, who had us try about 8 different wines (nothing like a good wine tasting at 11 in the morning!). My favourites were the sparkling rosé, the Fleur de lys (white wine with a drop of cassis syrup), the Late Harvest Wine, and L’Archer (a fortified wine with a hint of maple syrup – the flavour profile is similar to port). For those of you in Quebec, you can find many of these at your local SAQ! While in the Eastern Townships, we also stopped in to Lac Brome to pick up some duck. I usually pair grilled duck magret with a California zinfandel, but I didn’t have any on hand so we opened up this bottle instead, which was a birthday present from a few years back. 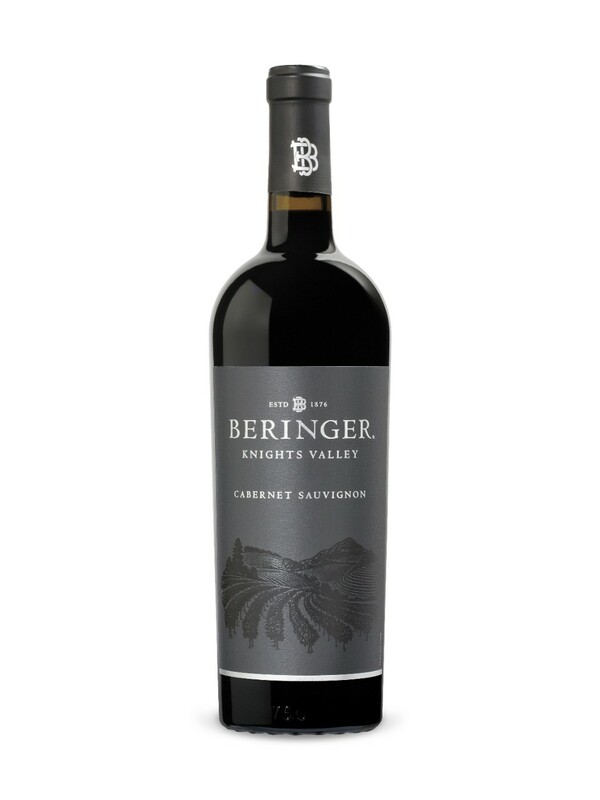 This 2012 Beringer Cabernet Sauvignon ($39.95) still could have sat for another couple of years, but after decanting, it was a beaut! Lots of black fruit flavours like blackberry and cassis, plus vanilla, leather and smokiness. Good till the last drop, this bottle didn’t make it through the night. Keep an eye out for it in Vintages and pick up a bottle for your next special occasion. My most recent fab pairing was a homemade shrimp pesto pasta with the 2014 Columbia Crest Grand Estates Chardonnay. I’ve reviewed this winery’s products before (here and here), but just as a reminder, this particular medium- to full-bodied chard is heavily oaked with green apple flavours followed by caramel and butterscotch. Pure wine candy. The strong, salty flavours of the romano and garlic in the pesto really brought out the butterscotch notes in the wine, while the texture and acidity of the wine played off the pesto perfectly. Hurray for a successful pairing! And P.S. 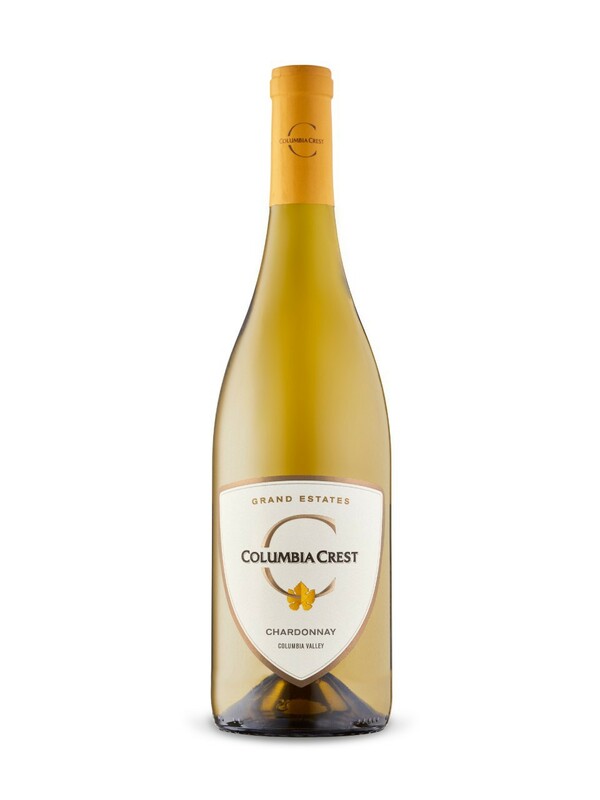 this wine is $3 off at the LCBO, so only $14.95, until March 26. Time to stock up! So that’s what’s new with me (no big deal). If you need me, I’ll be over here obsessively checking AirBnb for cool places to stay for every single stop on our European itinerary. And hey, if you know of any affordable *but still nice* accommodations in places like Sintra, Barcelona, Cinque Terre, the Veneto Region, Florence, Rome or Athens, let me know in the comments! You know I love a good deal! *If you are new to AirBnb, click on the link to get a big discount on your first trip. Beau projet! Have a wonderful sabbatical year, with plenty of wine and food, of course! Of course! I’m already looking into winery visits in the south of France, the Veneto region and Tuscany (maybe even Santorini). Stay tuned! Sounds divine. J’ai hâte de lire tes notes de dégustation et tes suggestions d’accord mets et vin! Love the picture of you looking at the wine, smiling at the mirror. Yeah, two big announcements and I’m staring at a picture. What’s wrong with me??? And I’m already jealous of all the traveling you’ll do. The pictures from your January escape look gorgeous too, there is something unique about the Caribbean… the water never look as good anywhere else! You guys are obviously going to come meet up with us at some point, right? If there is any room to move in your navigation, come to the bottom tip of Africa and enjoy the Cape winelands. As for the bargains, the exchange rate is already a rocking start before I get into the top notch gastronomic experience to go with the great wines.